Aymara is a South American Indian language spoken by about 2.2 million people. 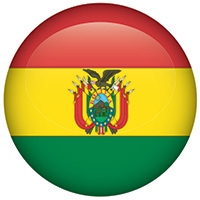 Most of the speakers live in Bolivia but it’s also an official language in Chile and Argentina. Aymara is a peculiar in language in that future and past tenses are juxtaposed; time is described as flowing from front to back. Looming deadlines are behind you unless you’ve missed them, in which case they are front of you along with your long dead ancestors. Whilst this might sound confusing in English, it’s perfectly natural to native Aymara speakers like our expert translators and interpreters.